Bayside Printing, llc and Advertising Specialties – Successful Businesses need Intelligent Solutions! In the graphics department we strive to keep things creative. We want you to stand out from all others. Stop by and see some of our samples or give us an idea to start with. We want you to be proud of what you are handing to people. We offer many bindery options and forms of specialty printing to give your project the finishing touch. Looking for something fun to advertise with at your next event? We have an endless variety of specialty advertising items. Perfect for your next company outing or holiday employee gifts. Any apparel item you can think of with YOUR organization or company’s logo screen printed or embroidered on it! We deliver locally and ship to anywhere. Order Your Promotional Items Here! Looking for promotional products? You've come to the right place. Whether you are looking for a specific item or just browsing for ideas, we are your one-stop source. If you cannot find it here, please contact us, we can help you find what you need! We are a full service printing company with a complete line of pre-press, bindery and finishing equipment to help service all the needs of our customers. One of your biggest advantages is the convenience of working with one company that can serve a variety of printing and advertising specialty needs at one location. In 1988 Steve Vincent started Bayside Printing with customer service as his #1 priority. Over the past 25+ years, quality, service, and on time delivery have become what Bayside Printing is all about. In October of 2016 Steve passed Bayside Printing on to Michelle Jossie. Michelle has been with the company for thirteen years and in the printing industry for the seventeen years. We look forward to continuing the values Bayside Printing has stood for as well as growing the business. 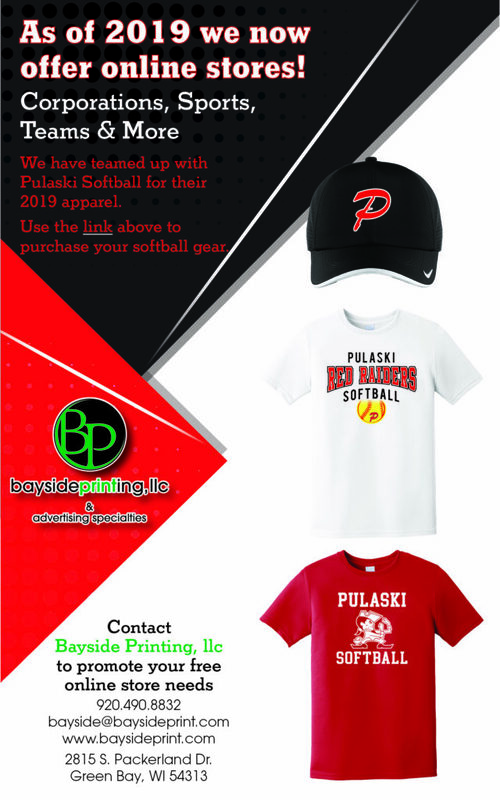 Moving forward we want Bayside Printing to continue our ongoing relationships with all of our current customers and partnering up with many new ones! At Bayside Printing, LLC we strive to improve our customer relations by giving excellent service, quality products, on-time deliveries, and guaranteed satisfaction. With this in mind, we hope you’ll become a partner with Bayside Printing. Files for print should be "print ready". If your files are not print ready you risk an artwork charge. Please read our page on File Setup if you have questions on what Print Ready means.